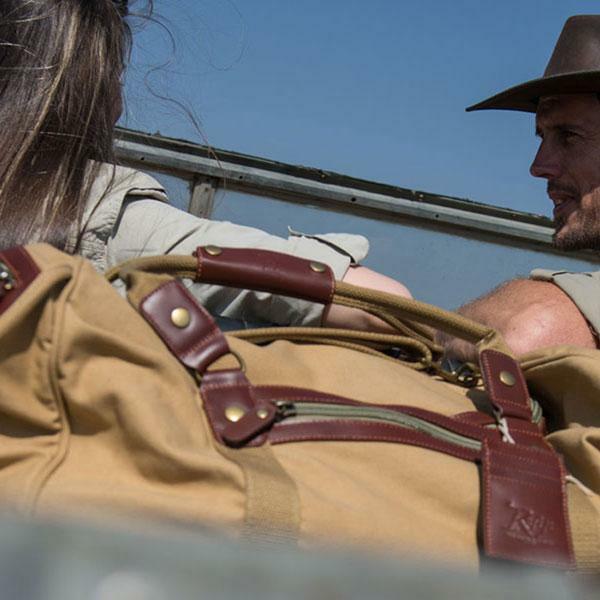 A soft-sided suitcase is a safari essential. 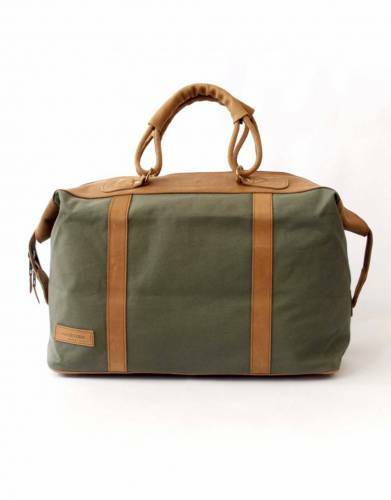 Crafted from fine materials in Kenya, this stylish canvas and leather bag combines both luxury and durability as a weekender or for your African travels. In strong, stylish cotton canvas with leather accents and details that also reinforce the strength of the bag, the Odyssey is designed for travel. The strong leather handles fit comfortably in the hand for easy carrying and the leather base with brass studs give added strength to the bottom of the bag. 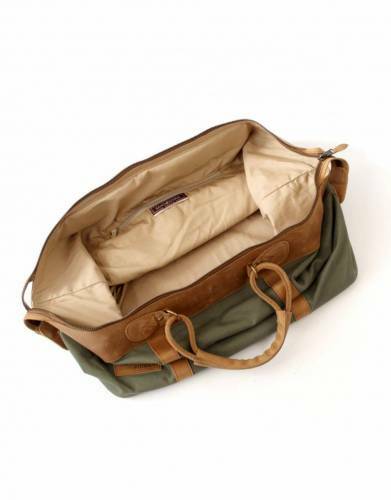 The main compartment is zipped and the interior of the bag is fully lined with a pocket for added convenience. 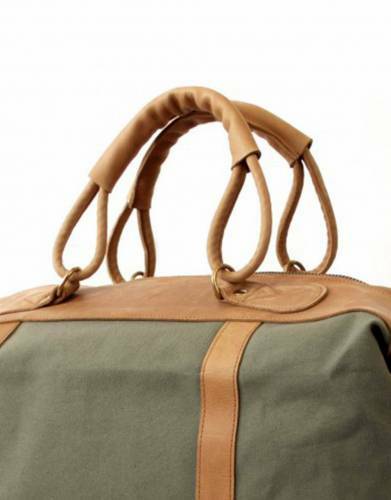 Only the finest materials are used to make Sandstorm travel bags: from specially tanned camel and cowhides to safari-grade 100% cotton canvas and solid brass fittings. The range brings these materials together to deliver a striking combination of luxury, style, and durability. 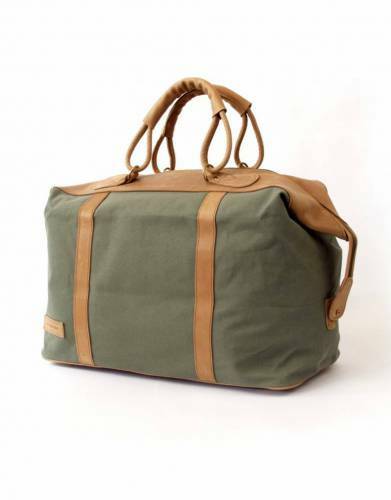 Furthermore, the Sandstorm range of travel luggage is handmade by Kenyan craftsmen and women who are highly skilled at stitching and finishing. Their skill is learned from years of experience working with their hands - weaving baskets and mats or making and maintaining fishing nets. This attention to detail will ensure that your luggage is unique. 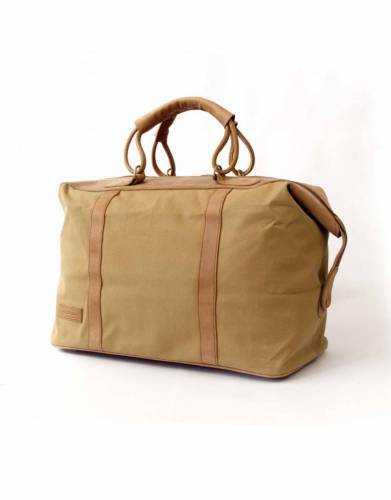 Sandstorm also offer a 12 month limited liability warranty for their bags. A note about canvas and leather: We stand by the quality of the construction of Sandstorm's canvas and leather range and the quality of the canvas and leather used to make their bags. Canvas and leather are, however, fabrics and, as with all fabrics, they have their limitations. While cases are few and far between and we have not experienced puncturing on our own safaris and expeditions, fabric, by its very nature, is able to puncture or tear if subjected to force, sharp objects, if thrown along an abrasive surface, or other forms of harsh handling. ⊙ MATERIALS: Made from safari-grade cotton canvas and pull-up top-grain leather.